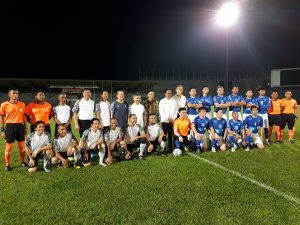 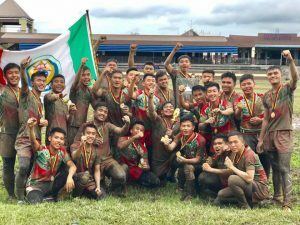 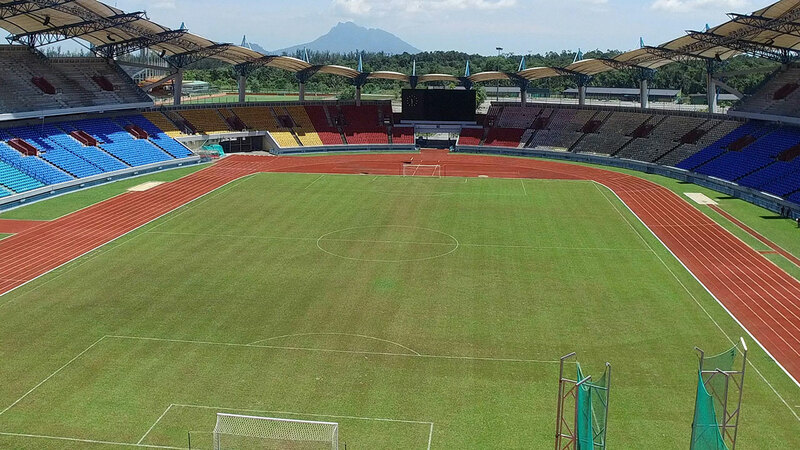 Sarawak Stadium is the iconic multi-purpose facility in Sarawak Sports Complex which is located in Petra Jaya that is about 30 minutes away from Kuching City. 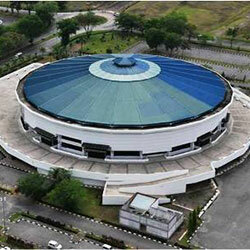 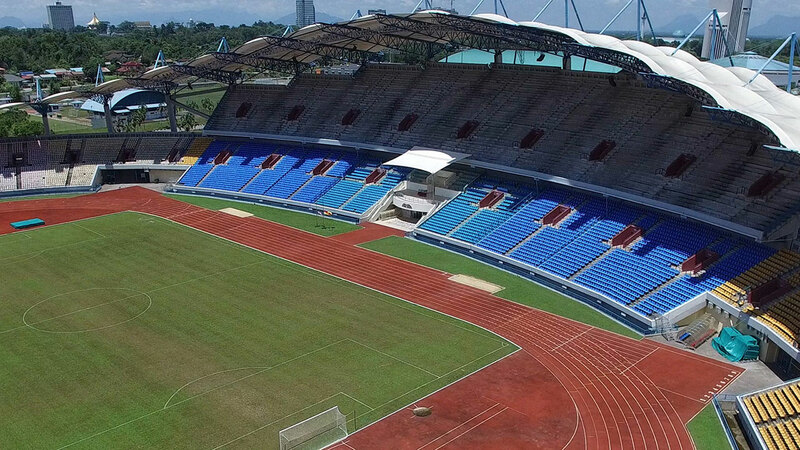 It is currently the largest stadium in Sarawak and has a seating capacity for 40,000 spectators. 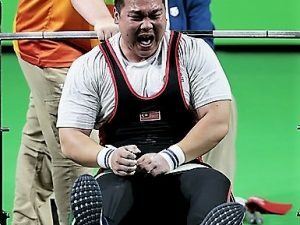 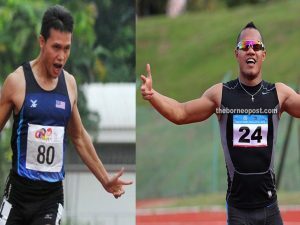 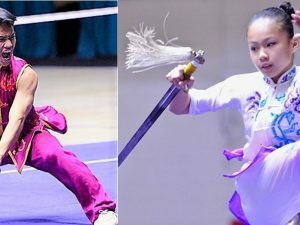 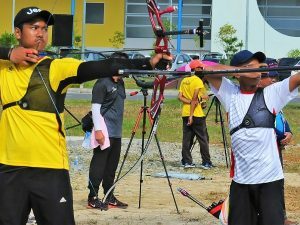 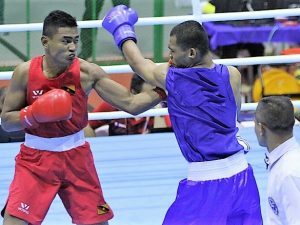 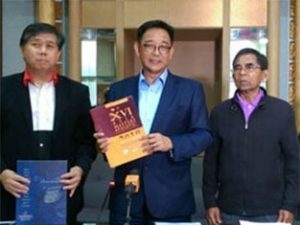 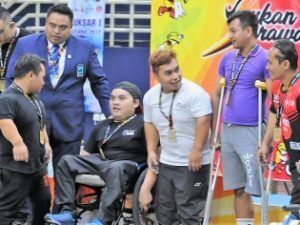 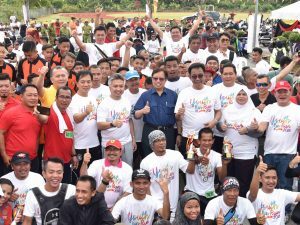 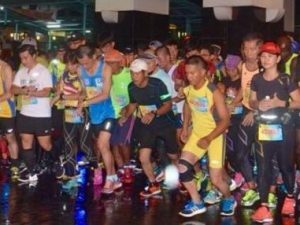 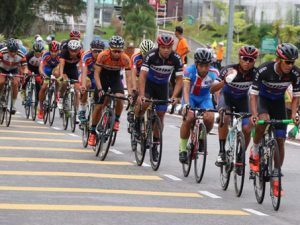 It had hosted athletics events of the 18th Malaysia Games (SUKMA) in 2016 and 18th Malaysian Paralimpiad Games 2016. 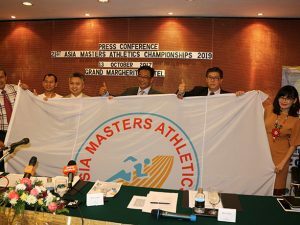 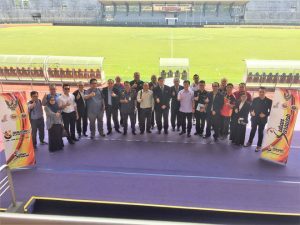 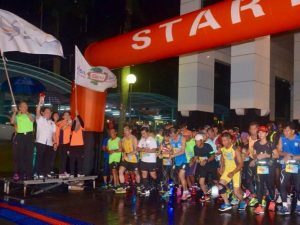 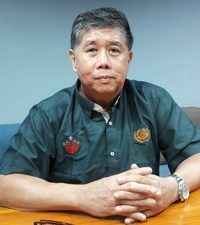 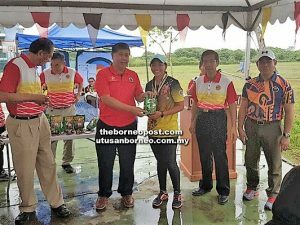 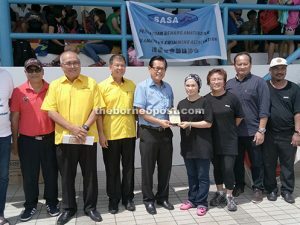 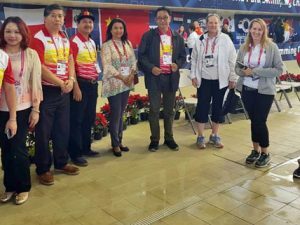 It was the venue for the recent 31st Malaysia International Open Masters Athletics Championships held on 22 -23 July 2017. 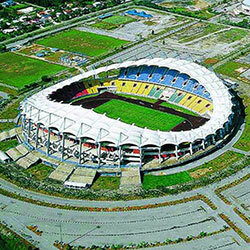 Sarawak State Stadium is the earliest and formerly the largest multi-purpose sports facility to be built in Kuching, Sarawak. 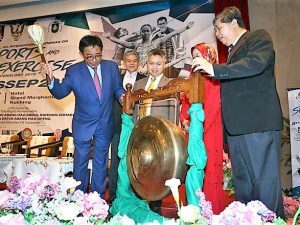 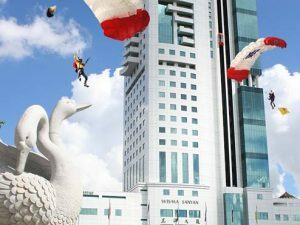 It was officially opened in 1989 and had also hosted the country’s largest sports carnival which is the 3rd Malaysia Games (SUKMA) in 1990. 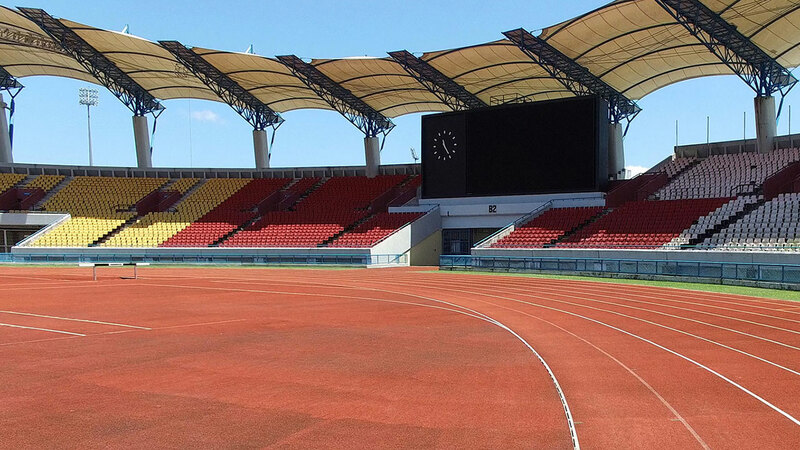 It has a seating capacity for 26,000 spectators and had served many official state functions and cater for private events. 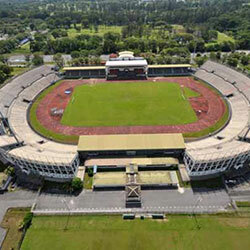 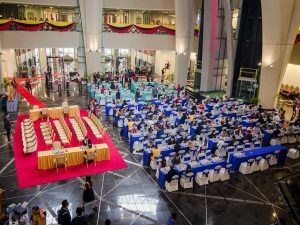 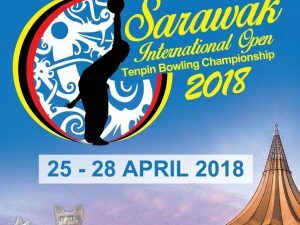 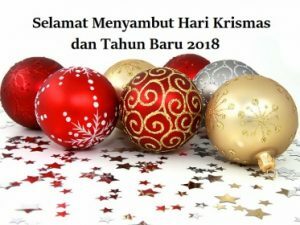 The Sarawak Indoor Stadium or locally known as Stadium Perpaduan Negeri Sarawak located in Petra Jaya , Kuching was declared opened in 1988 and is fully air-conditioned. 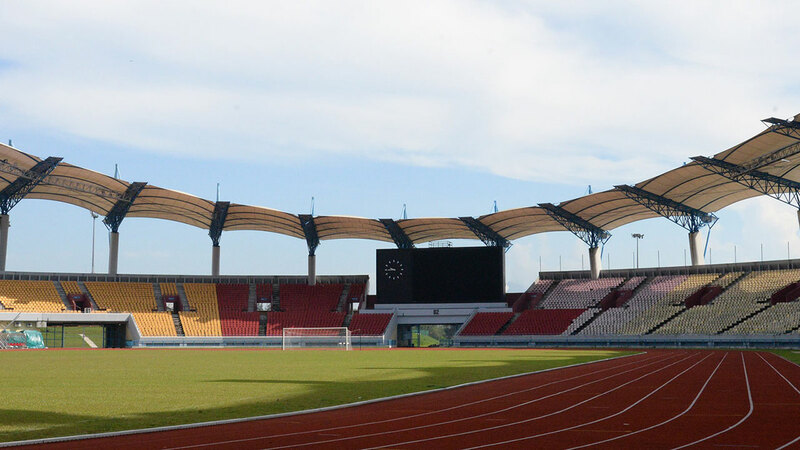 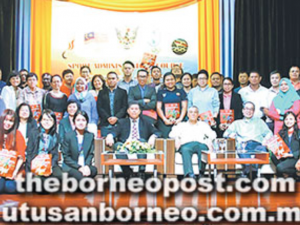 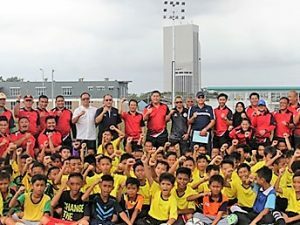 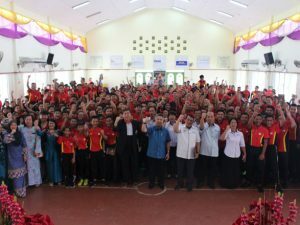 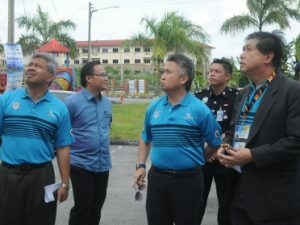 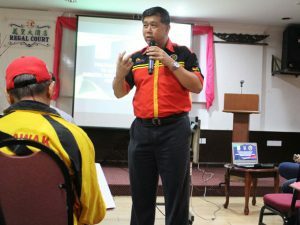 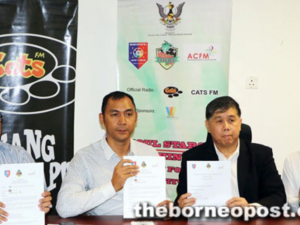 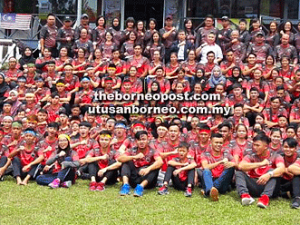 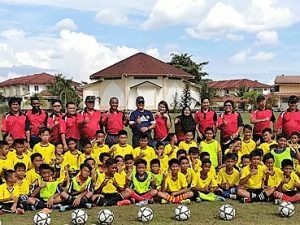 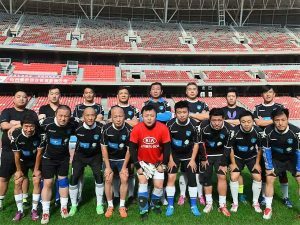 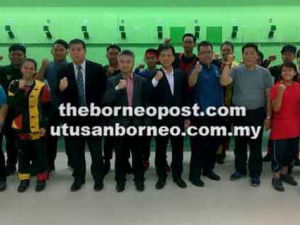 The facility was built at a cost of RM22 Million and has a seating capacity for 4,200 spectators. 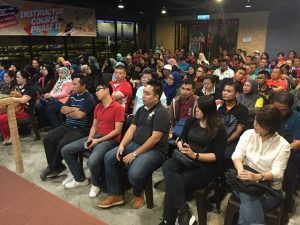 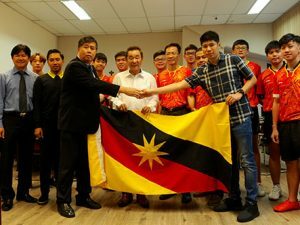 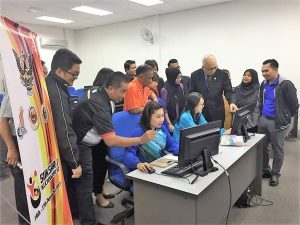 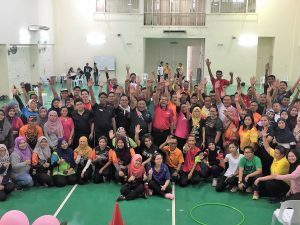 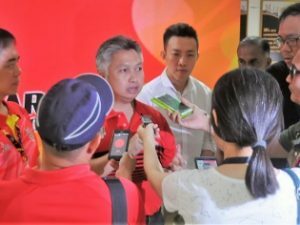 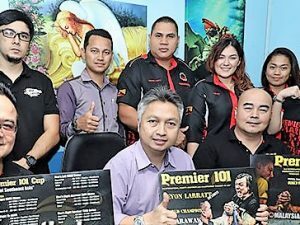 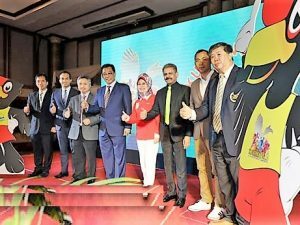 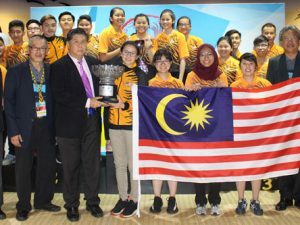 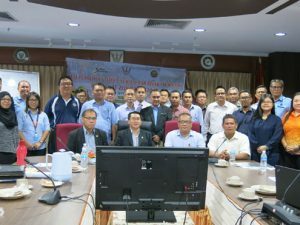 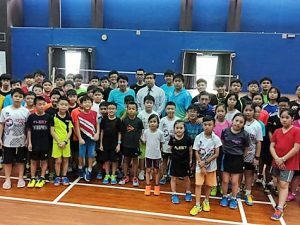 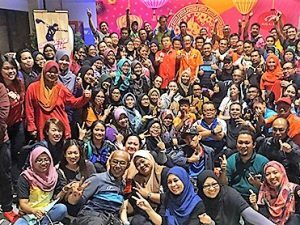 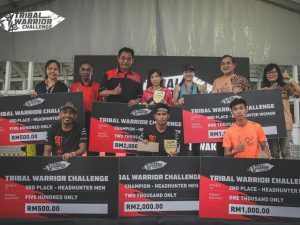 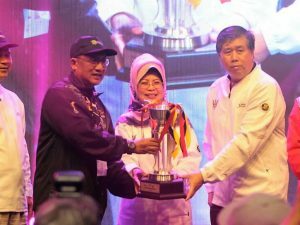 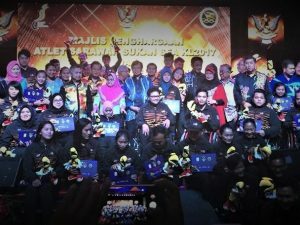 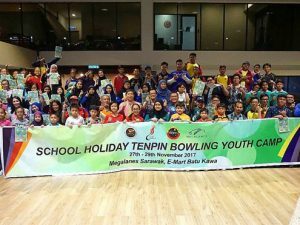 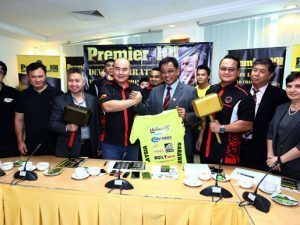 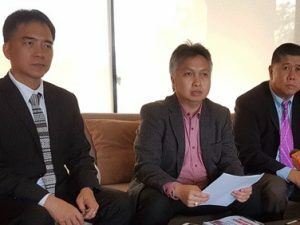 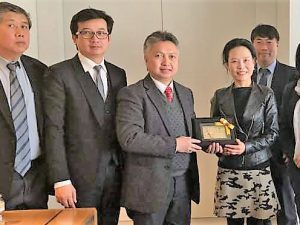 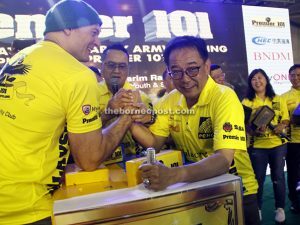 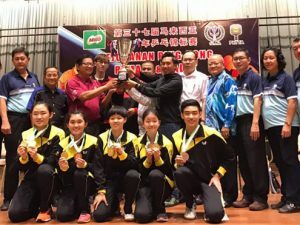 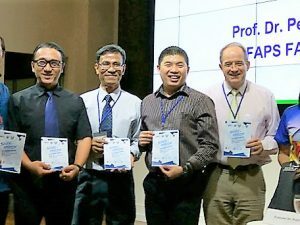 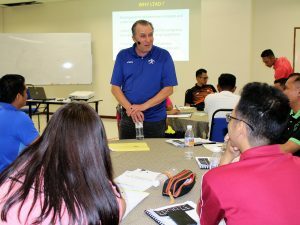 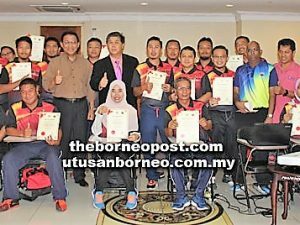 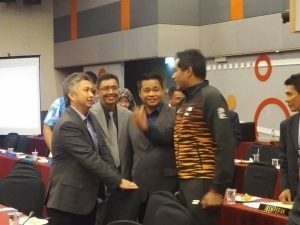 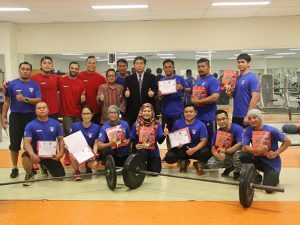 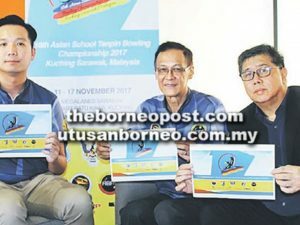 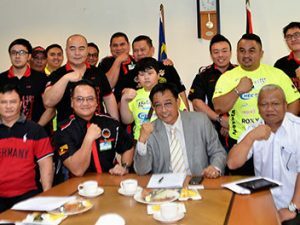 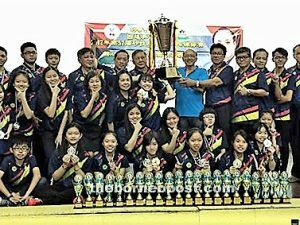 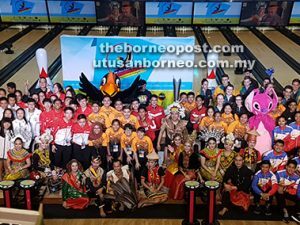 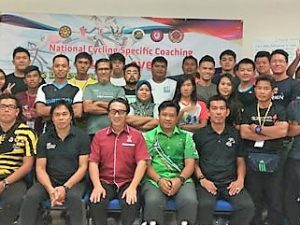 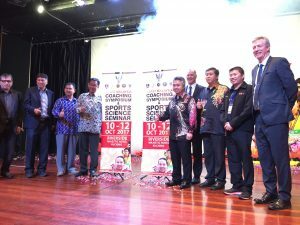 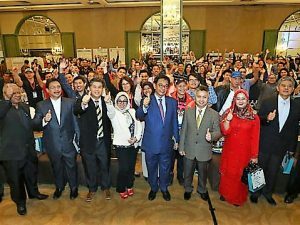 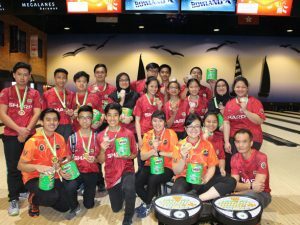 It had hosted a number of world class badminton championship including the recent Celcom Axiata Malaysia Open 2017 in which almost all of the top 10 players took part in the event. 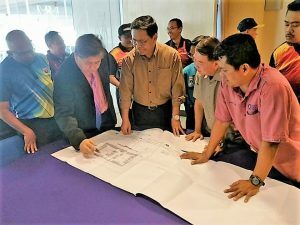 The Pandelela Rinong Aquatics Centre in Petra Jaya, Kuching is currently the largest and up to date diving and swimming facility in the region. 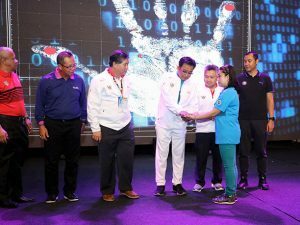 Built at a cost of RM32 million, the aquatic centre had hosted the 18th Malaysian Games (SUKMA) in 2016 and the 18th Malaysian Paralimpiad Games 2016. 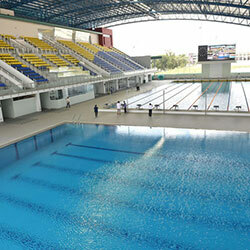 The centre consists of international-standard competition, diving, training pools.